The polling for the 68 Assembly constituencies of Himachal Pradesh began across 7,525 booths in a single phase on Thursday. The polling began at 8:00 am and end at 5:00 pm. A total of 337 candidates, including 19 women, are in the fray. Four of the remaining five are independent candidates while one seat is vacant. 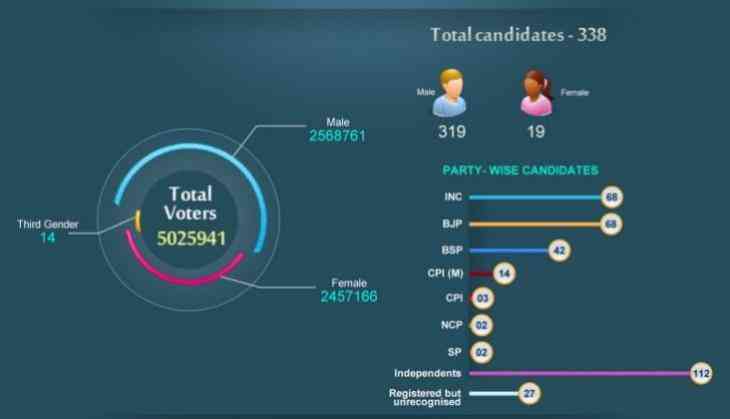 In terms of area, the largest assembly constituency is Lahaul and Spiti. Congress leader and six-time Himachal Pradesh Chief Minister Virbhadra Singh is fighting against BJP's Prem Kumar Dhumal, two-time Chief Minister of the state, for the post of Chief Minister. The counting of votes will take place on December 18.